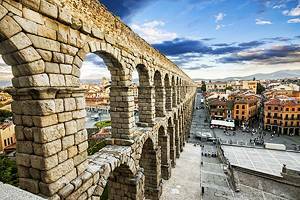 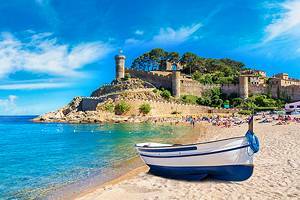 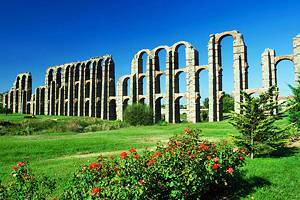 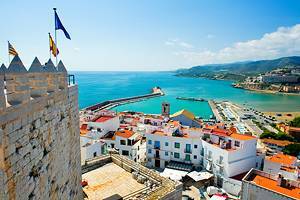 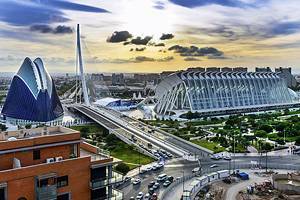 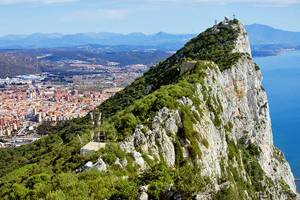 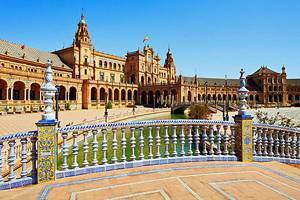 Spain is blessed with a mild climate, beautiful coastal beaches, mountains and plains, and a long history that can be appreciated, in many respects, through the architectural masterpieces found throughout the land. 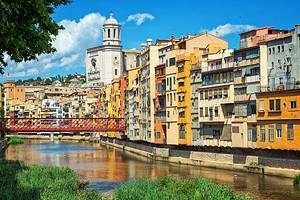 On top of all this are vibrant cities that invite travelers to linger. 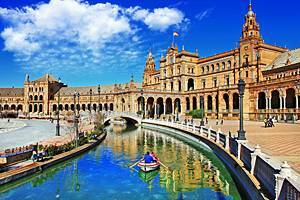 Barcelona, Madrid, and Seville each have their own unique charm and remarkably different sites. 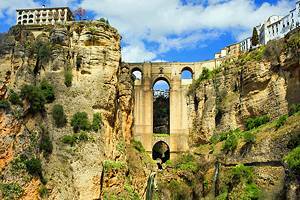 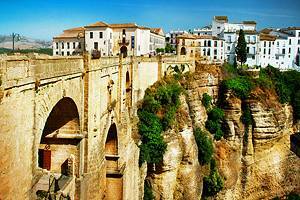 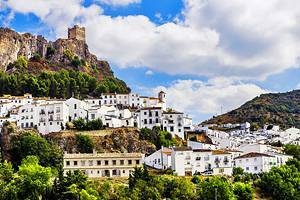 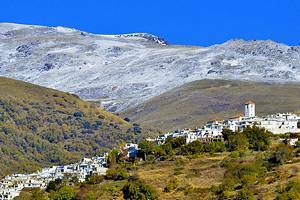 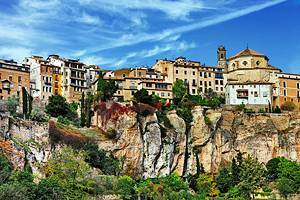 In the countryside, small towns like Ronda or Cuenca offer a slower pace and some unexpected scenic delights. 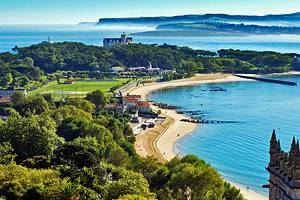 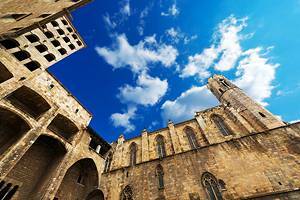 Barcelona is one of the country's top destinations and a place where a visitor could easily spend a week. 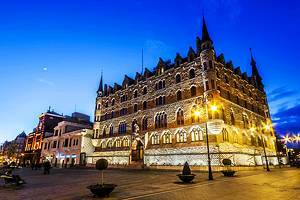 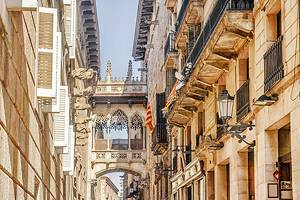 Sights abound and the pleasant atmosphere can be appreciated from the quaint squares and courtyards, or the outdoor restaurants and cafés. 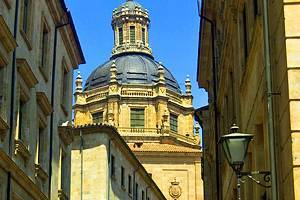 The city was fortunate enough to be chosen by Antoni Guadi as a canvas for his unique architectural masterpieces. 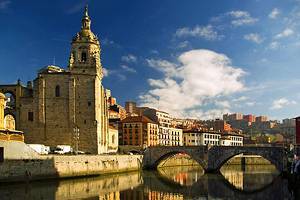 His 20th Century buildings stand in stark contrast to the typical lovely old architecture found throughout Spain. 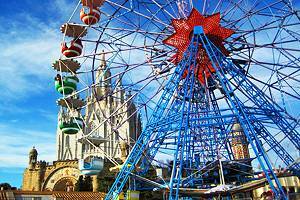 Gaudi's unfinished cathedral of Sagrada Família is the city's most famous site, but the Parc Güell is also a must see, offering a glimpse into the fantastic imagination of this man. 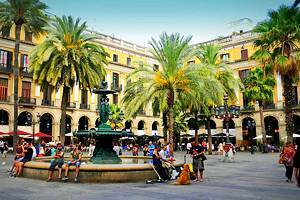 For general people watching, relaxing, or dining, Las Ramblas is the main tourist hot spot in the city, where there is always something going on. 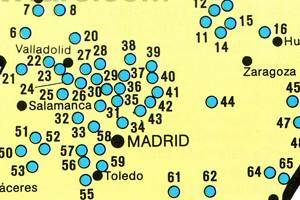 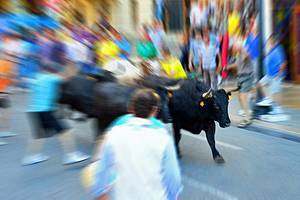 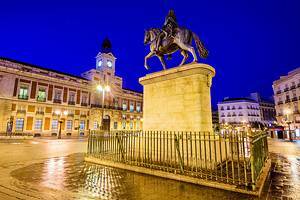 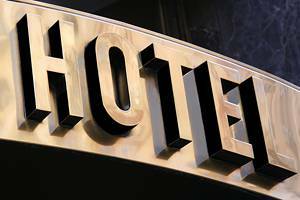 Madrid, the capital city, is another place where you could spend a considerable amount of time. 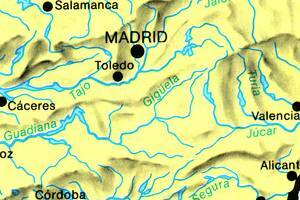 It is home to the country's top museums, many of which are internationally renowned, including the Prado Museum. 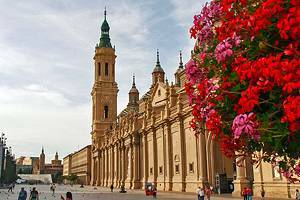 The Royal Palace, the Real Monasterio de las Descalzas Reales, and the large Plaza Mayor, lined with outdoor restaurants and frequented by entertainers of all kinds, are some of the key sights. 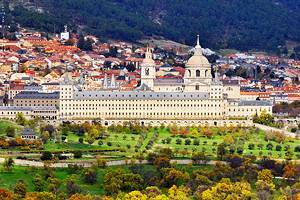 Outside the city, the 16th C Royal Monastery and Palace of the Escorial is also worth a side trip. 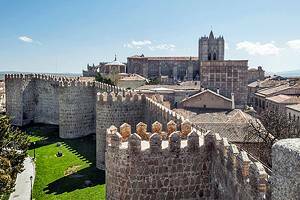 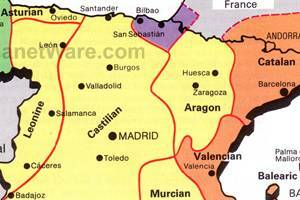 Depending on the length time available visitors may also want to do a day trip to see the old walled city of Toledo, a UNESCO World Heritage Site. 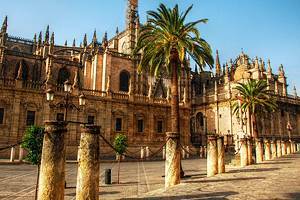 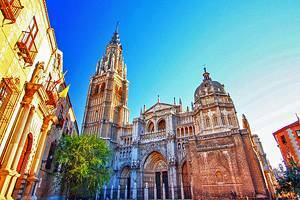 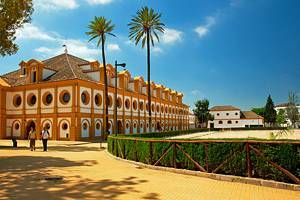 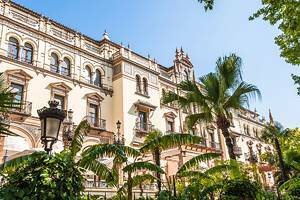 Travelers heading to Seville will find some of the narrow streets and small plazas a change from the open boulevards and large squares of Madrid. 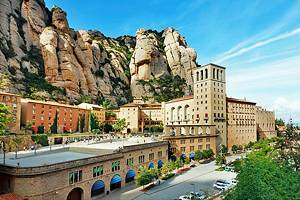 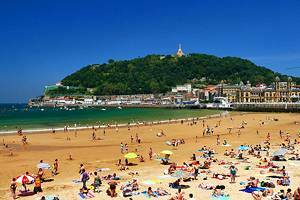 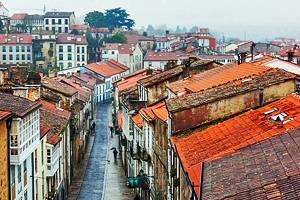 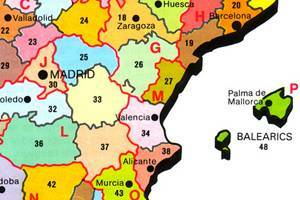 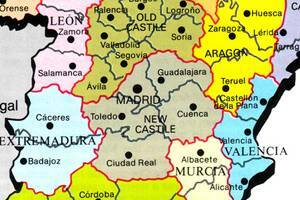 The city has more of a small town feel, and is somewhat more relaxed than Madrid or Barcelona. 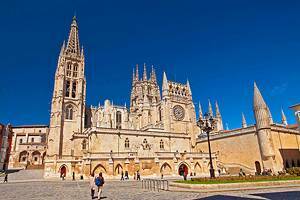 The huge Gothic Cathedral is the principle attraction, followed by the 14th C Alcazar and the Museum of Fine Art. 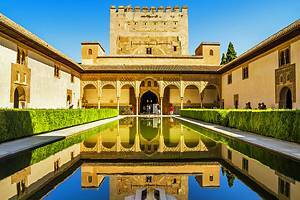 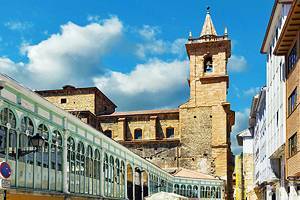 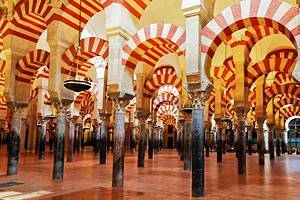 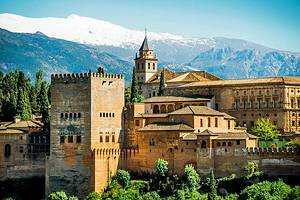 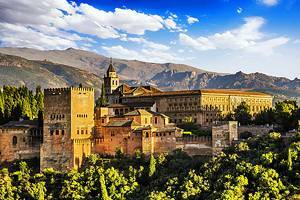 Other top sights that should be on visitors itinerary when traveling through Spain are the Alhambra Palace in Granada, and the city of Cordoba with its pretty squares, whitewashed houses, and the famous La Mezquita-Catedral. 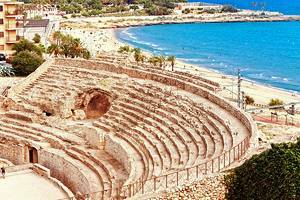 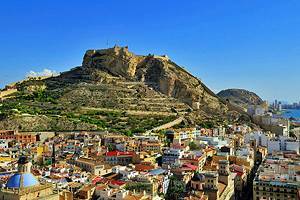 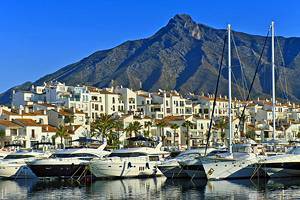 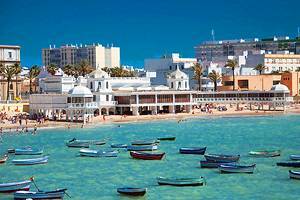 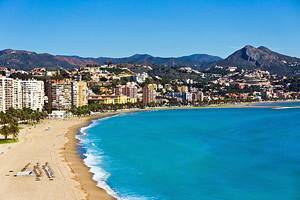 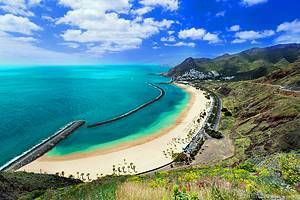 During the summer months sun seekers flock to the beautiful wide stretch of beach at Malaga and other coastal resort towns. 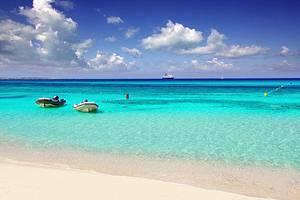 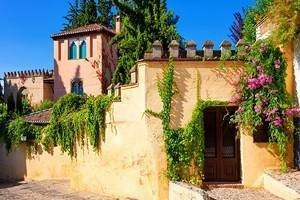 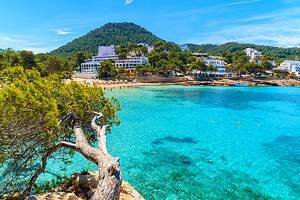 Those looking for something a little more quaint and removed from mainstream Spain can hop a flight to the island of Majorca, where life is a little slower paced.